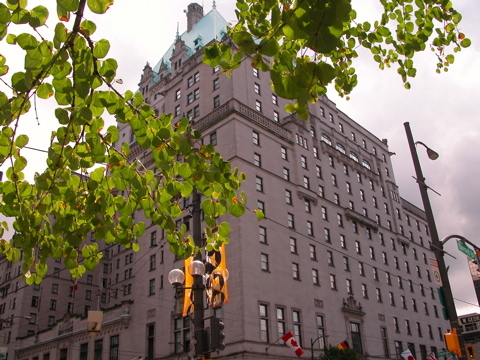 Tuesday, June 1, 2004 was the first full day in Vancouver, British Columbia. Vancouver was very nice, but cloudy. I saw Stanley Park (the same guy who invented hockey's Stanley Cup), Granville Island, Chinatown, Gastown, Canada Place, etc. I got to see my old high school friend Melanie, as well as my high school Algebra teacher Mr. McGregor. I made them both sign my yearbook - 14 years late.